Specially formulated for normal to dry skin, Himalaya Herbals Hydrating Face Wash Cream is a soap-free, gentle, cream-based cleanser that removes dirt and other impurities while hydrating the skin. While Cucumber cools and soothes, Aloe Vera hydrates and nourishes, leaving your skin soft and supple. 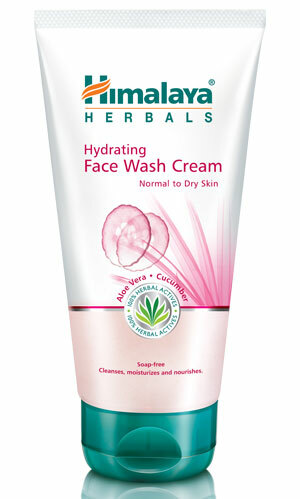 Moisten face and massage Himalaya Herbals Hydrating Face Wash Cream all over, avoiding the delicate eye area. Wash off and pat dry.